If there is one thing that I love about Xbox controllers, it is that they are versatile. Not only can you take them apart and customise them to your heart’s content, but you can also get a gazillion variations of it online. Perhaps the most noteworthy custom Xbox controllers come via SCUF Gaming. The good news is that SCUF have set their sights on PlayStation as well. Meet the SCUF Vantage for PS4. Technically the first ever “officially licensed” wireless PlayStation 4 controller comes by the way of SCUF. 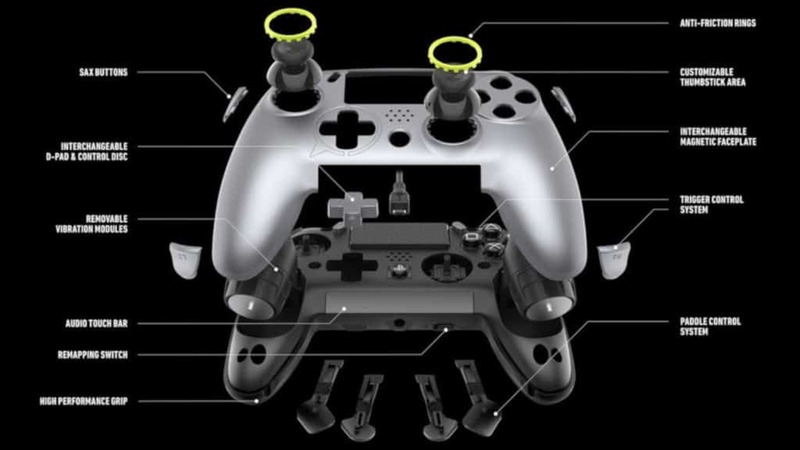 The SCUF Vantage is built from the ground up with SCUF’s patented technology. 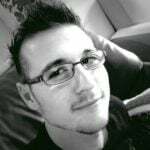 You see, SCUF controllers have always been sturdy, well-built, and highly customisable. This one will be no different. 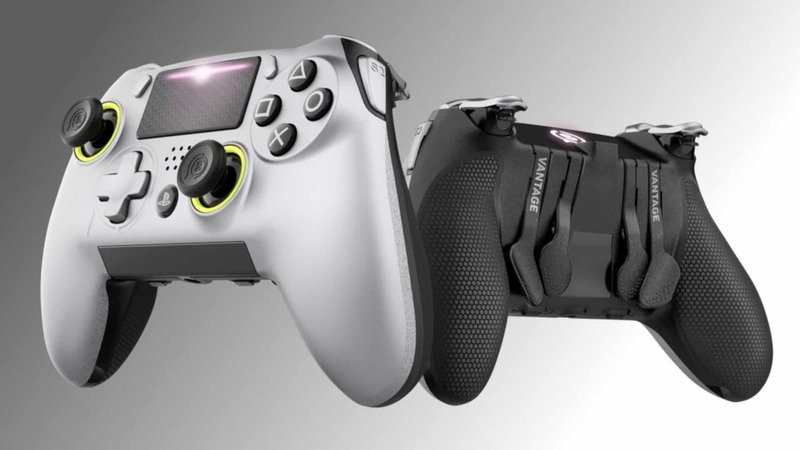 For starters, the company is bringing the same paddles to the PlayStation 4 controller that are also on the SCUF controller for Xbox, or even the Xbox One Elite controller. Now Sony fans will be able to customise what those four extra inputs can do. SCUF states that the new features added to the controller include unique side-mounted right and left Sax buttons. These buttons are designed to fit the natural placement of your fingers and add a level of configurability. In addition, SCUF states that the faceplate of the controller can be removed. This allows users to personalise it and change out thumb sticks without the hassle of taking the controller apart. The Vantage also includes audio control features on the rear via an all new audio touch bar. Adding on to the customisable nature of the controller, players can even remove the vibration modules to make the controller lighter. In addition to all the fancy new features, the SCUF Vantage also comes with the standard features of most SCUF peripherals. This includes the paddle control system, removable paddles, a quick access remap switch (or macro memory), customisable thumbsticks, a hair trigger, trigger stops and extenders, a choice of D-pads, and an interchangeable faceplate. SCUF says that the peripheral is only available in the Americas for the time being. We will be sure to update this article when news becomes available regarding international availability. 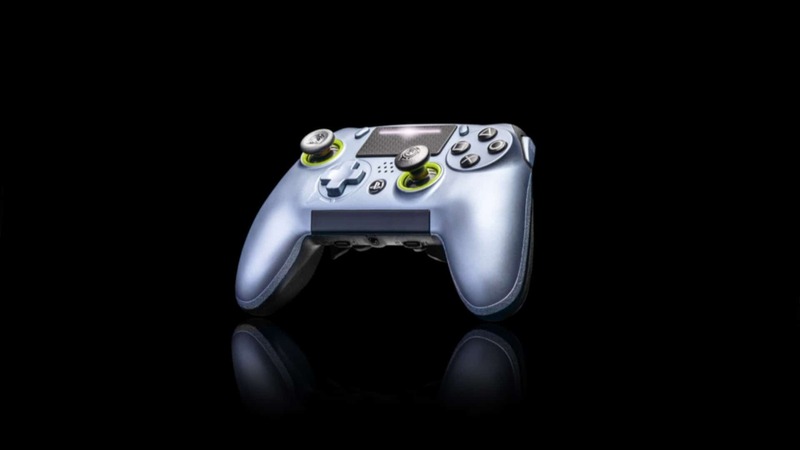 If you do live in the States, however, or if you have family there, the SCUF Vantage for PS4 can be pre-ordered via the SCUF website for $166 USD for a wired variant, or $200 USD for the wireless variant with Bluetooth. Both models also come with a protection and travel case.